Blog Editor’s Note: The author is the President of the RNT Foundation. Administration struggling to keep up. This funding is in addition to the $10 million Congress provided for the project last fiscal year (note: since these are R&D funds, the monies remain available for three years after they are appropriated). This additional funding is part of Congress’ long but accelerating march to establishing a terrestrial PNT system to backup and complement GPS, an effort with which the administration is struggling to keep pace. 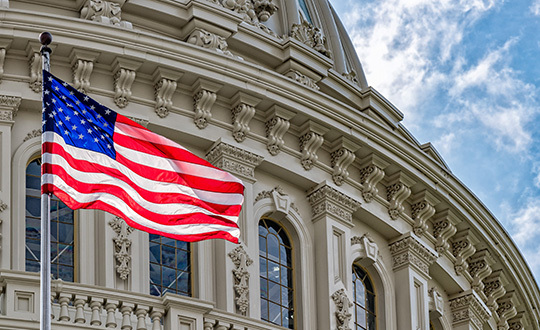 Members in both the Senate and House were surprised and concerned in 2009 when the Obama administration suddenly went against the advice of its departments, national advisory board, and virtually every technologist and engineer in government. That is when the administration decided to terminate plans to convert the old Loran-C system to eLoran as a complement and backup for GPS. Congress’ concern was not completely allayed when, in a report Congress had mandated, the administration said that a wireless GPS navigation backup was not needed. Users could easily resort to paper maps and charts. The same report did admit that the need for wireless precise timing was another issue. The administration said it would study this, even as the Loran-C system was being terminated. Subsequent hearings in Congress revealed ongoing concerns about the lack of a terrestrial capability. 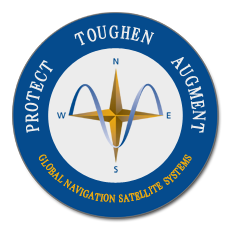 These were magnified by the nation’s major adversaries, Russia and China, retaining terrestrial Loran systems to inoculate themselves from the effects of disruptions to their space-based PNT systems. 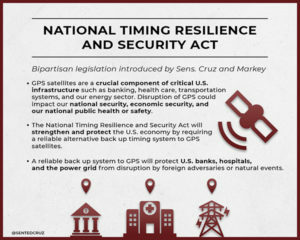 The Department of Defense committing to establishing a terrestrial backup for GPS within the United States, then reversing its position just before its authorization bill was finalized. This reversal was not based upon technical or national security grounds; rather, that it “wasn’t the department’s job.” This reversal nullified almost two years of coordination and effort by Congressional members and staff. A senior Department of Defense official at a hearing providing grossly inaccurate information about GPS resilience and backup systems. The official subsequently retired. The Deputy Secretaries of Defense and Transportation in 2015 promising action to the chairman of the House Transportation Committee. In a December letter they said the administration would establish a GPS backup by first establishing an eLoran timing system, and then an eLoran navigation system. Aside from signing the letter, no further action was taken. Congress’ growing skepticism about administration positions on this has led to a series of hearings, informal inquiries, demands for reports, and legislation. Together they chart a very deliberate effort to bypass bureaucratic infighting and confusion as much as possible en route protecting the nation with a terrestrial complement and backup for GPS. 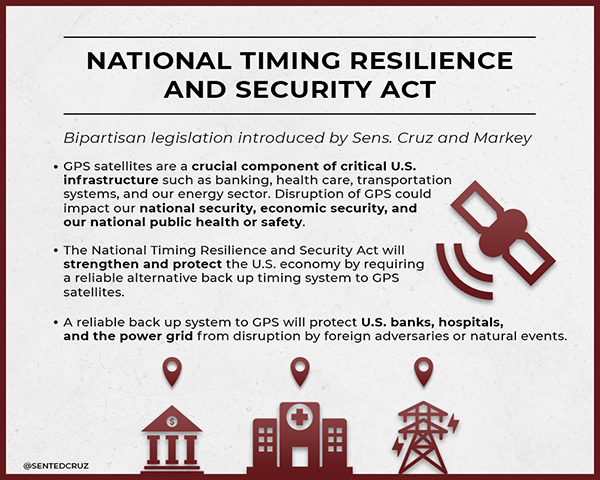 In December 2018, the National Timing Resilience and Security Act of 2018 was signed into law. It directs the Secretary of Transportation to establish a terrestrial, difficult-to-disrupt, wireless timing system to provide backup capability for GPS. A report on requirements and an implementation plan are due in June 2019, and system operation is mandated by December 2020. Contacts with members and staff in the new, 116th Congress show that interest in this topic has increased. So has frustration with the administration missing many, if not most, of its deadlines for reports and briefings. A recent GAO report that U.S. weapons systems are vulnerable to GPS spoofing; the need for a strong navigation and timing infrastructure for autonomous vehicles, drones, and intelligent transportation systems; and continued high visibility instances of deliberate GPS jamming and spoofing are all adding to concerns. Also of note, Congressman Peter DeFazio (D-OR) has been named chairman of the powerful House Transportation and Infrastructure Committee. Rep. DeFazio has long believed in the need for action to provide a backup capability for GPS. Congress is clearly set on a determined course. Perhaps the administration will catch up before it earns more of the Congress’ ire, and before a major disruption demonstrates the consequences of inattention to the entire nation and the world.